The railways were the first to adopt the fledgling telegraph in the last century. Throughout their history they have adopted new technology in telecomms as a means of improving their business operations and, most importantly, increasing the safety of the running of trains. 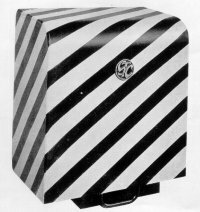 A simple, yet ingenious method of implementing the requirements for a signal post telephone. The system handbook is available in PDF format. A series of articles about another subject that has kept me employed for over thirty years. The first part is a short history of the need for a telephone system at automatic crossings. 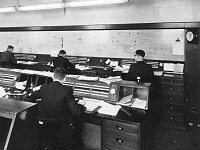 The second part is a more detailed description of the Plessey post-Hixon system with a page devoted to dismantling the telephone. Finally, a description of the Whiteley PETS developed about 1990 to replace the Plessey system. Starts with a description of the purpose of Control on the Railways illustrated with pictures from the 1920s. The second article explains the need for a special telephone system for control purposes with a description of one such system from STC, and finally there is a description of the rival system from GEC. 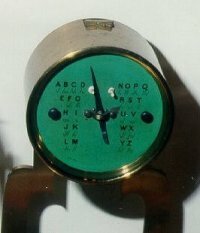 A simple and reliable telegraph using a variation on the Morse code, but with the resilience of double current working. 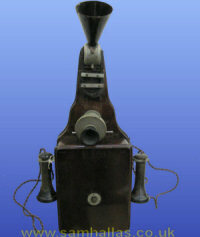 The block telephone is a means of piggy-backing a telephone circuit on a simple earth-return bell connection between signalboxes. 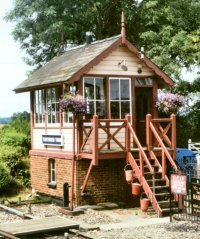 Mike Tyrrell has written this article explaining how the Great Western achieved selective ringing to 12 different waystations, later reduced to 8 to improve reliability. 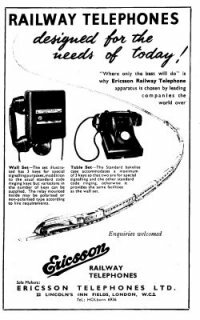 By allowing a telephone to work over the same wire as a Morse telegraph, the phonopore saved the railway companies a lot of money. Here's its story. Vintage telephones actually in use on the K&ESR. 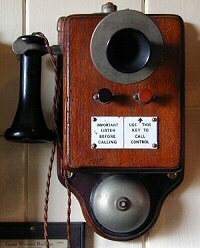 has some fine examples of railway telephones on display. 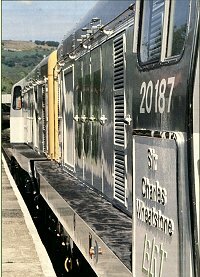 A brief account of the equally brief lives of the BR Telecomms locomotive fleet. Marconi honoured. Princess Elettra names loco in honour of her father. These photos were rescued by Bob Freshwater from the former Peel-Connor factory before it was demolished. 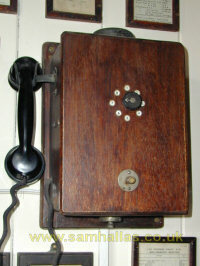 They record some of GEC's railway telephohe equipment installed from the 1930s through to the 1950s. The early ones are of electrical control installations. 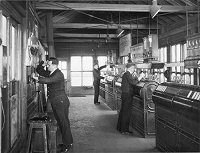 The later ones are train control offices and equipment. The files are presented in a series of photo galleries. 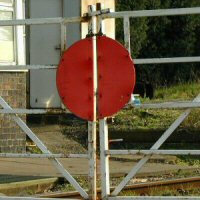 Some systems developed to cater for the special needs of railway administrations. Siemens-AEI Automatic Party Line Systems on BR: An article by Mike Tyrrell describing an ingenious expedient for providing automatic working where there was a lack of line plant. 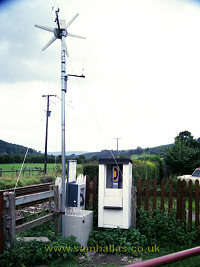 The Wind-powered level crossing telephone. A trial conducted in 1992 which led onto later developments for fixed cellular phones at remote sites. It is desired that the greatest courtesy should be exercised when speaking on the telephone. When concluding a conversation on the telephone notify the caller at the other end that you have finished. An "Exchange" is a place where a switchboard is provided in connection with a number of offices, etc., where telephonic communication is established, the switchboard being used to connect the various places with each other. A "Line" consists of the wires connecting any two places where telephonic communication is established. A video transcribed from a print of a British Transport Films 16mm film describing the telecommunications behind TOPS, the fleet control computer system adopted by BR in the 1970s. Also included is 'A new way to communicate', a user's guide to the National Radio Network handportables.